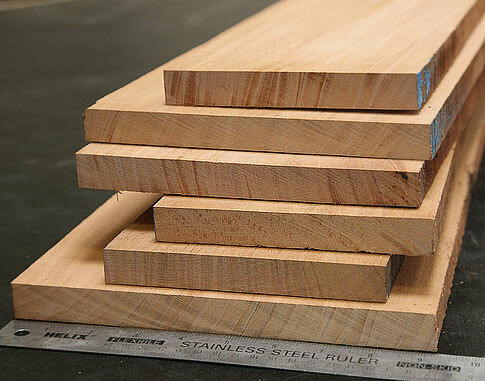 Teak lumber comes in random widths and lengths, with a uniform thickness. Easily worked with both hand and machine tools and dresses to a very smooth finish if tools are kept sharp. Glues moderately well with fresh, clean cut surfcaes despite its oily nature. Naturally durable and weathers well. The color of Teak is Dark golden yellow turning dark brown with age. I needed a couple of thick teak planks with which to make some floating shelves for my new home. The teak provided was beautiful and met my highest expectations. 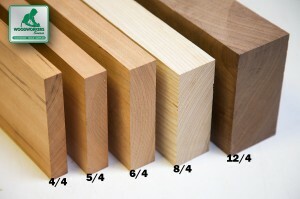 I was completely satisfied with the quality of the lumber selected. It met my needs. I specified needs for 6 pieces of specific dimension. 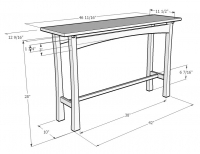 It was supplied in one piece of lumber which I was able cut up to the dimensions I needed.